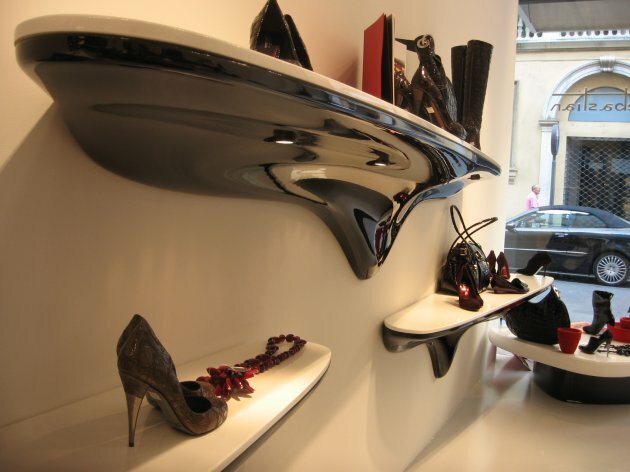 Italian architect Matteo Pierotti designed this shop for the Italian fashion brand Sebastian. He previously worked for starchitect Zaha Hadid, who’s influence appears to come through in the fluid design of the shelves. Visit Matteo Pierotti’s website – here.